The Easter holidays are just around the corner and with cheaper rates and fewer crowds than the summer months, it’s a great time to take a family trip. 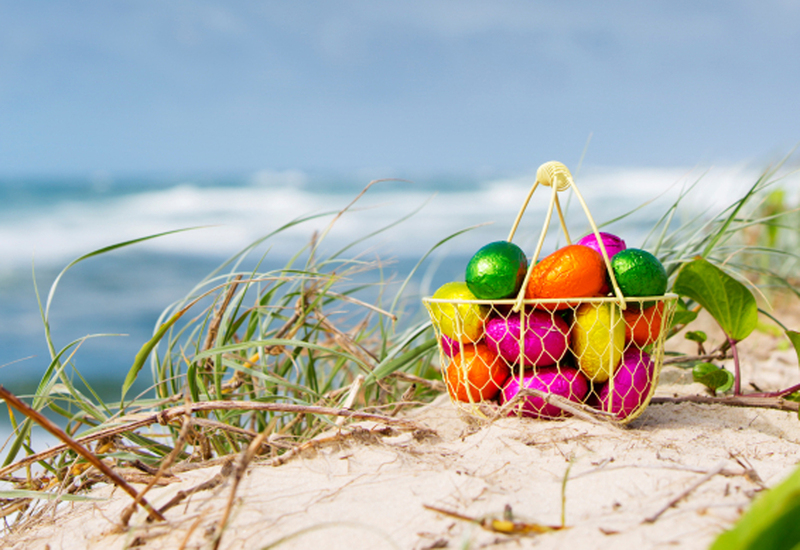 Here’s five of the best family holiday destinations to visit this Easter. This ancient mountainous region is known for its beautiful rainforests and temples. Kids will love visiting one of the region’s many elephant sanctuaries and taking a tour of a craft village where locals sell their handmade wares. Getting there: The flight from Sydney Airport is roughly 12 hours, including a stopover in either Bangkok or Singapore. Weather in April: Hot and dry, 22-36 degrees. Why visit in April: The Thai New Year celebration Songkran provides the perfect opportunity for kids to cool down while also getting involved in a local tradition. Running from 13th to 15th April, the festival involves closing off the streets to make way for a giant water fight. One of Australia’s most famous landmarks, Uluru is a great place for kids to learn about Indigenous culture and get in touch with the great outdoors. There’s plenty of child-friendly activities ranging from camel tours and cultural walks to dot painting workshops and visits to the cultural centre. Getting there: The flight from Sydney Airport is 3.5 hours direct. Weather in April: Warm days and cool nights, 12-28 degrees. Why visit in April: While the temperature in summer can soar to 40 degrees, April is pleasantly temperate with very little rain, making it the best time of year to visit with kids. It’s also a great option for a quick trip if you’ve only got the long weekend off work. If you’re looking to escape the cold without heading overseas, it could be a good time to visit this UNESCO World Heritage listed site. Days spent snorkelling, boating and swimming with dolphins will provide plenty of entertainment for the whole family. Why visit in April: The very end of the rainy season, April has some of the most consistent weather in this unpredictable tropical region. You should get plenty of warm clear days, without the summer crowds. Travelling in Bali with kids is always fun as children are adored by the locals. Plus, there’s plenty to keep the kids occupied, from beaches and markets to adventure parks and monkey forests. Why visit in April: April is the tail end of the wet season so there’s less chance of rain, humidity is low and prices are significantly cheaper than July, August or December. A great destination for families looking for a city break, Hobart’s fresh new dining scene will impress food-loving parents, while its museums and mountain treks will keep the days packed with activities. Getting there: The flight from Sydney Airport is around 2 hours direct. Weather in April: Long dry days, 10-18 degrees. Why visit in April: The Tasmanian Museum and Art Gallery Children’s Festival runs from 12th -17th April and includes a range of creative activities and presentations for kids. This year’s theme is EarthTime and exhibits will educate and entertain kids on topics like dinosaurs, fossils, ancient storytelling and aboriginal culture. If you’re flying out from Sydney Domestic or International Airport, the easiest way to transport the whole family is to bring your own car. Airport parking in Sydney doesn’t have to eat into your holiday fund, with prices starting from $15 a day at Park on King. Once your car has been securely parked, the whole family can take the on-demand shuttle straight to the airport to start your holiday. New customers can get 10% off their booking with the code WSFT10 and if you’re travelling with young kids or a pram you can even park in one of the dedicated easy-access spaces close to the lifts.